Late last year the petroleum giants, including Exxon and Shell announced an allocation of $180 billion for modernizing plastic production and distribution, insuring an almost permanent pollution of our oceans. Although Theresa May’s UK devoted a great deal of talk to reducing plastic pollution, a motion last year to enact deposit return on plastic bottles failed to pass Parliament. But following China’s decision to ban imports of foreign recyclable material, pushing against these set-backs, Brussels announced an allocation of 340 million euros to change poor tax habits, furthering a plan that aims to make all packaging reusable or recyclable by 2030 in an effort to change the European mindset. A recent article by Reader Supported News calls for an American plastics intervention, but in the absence of globally-coordinated efforts, looking to failed government structures—call them nations, especially now—seems unrealistic. The use of plastics contributes to endocrine disruption. That alone is a good reason to stay away from all plastic products, including appliances, as much as possible. Fossil fuels are killing not only humans but all life on this planet of ours, including what it does to the soils and the water. Remember, too, that all plastics are petroleum products. They are not biodegradable. They do not decompose. At best they break down into minute particles which find their ways into the digestive systems of land and sea birds, fish, and mammals, including human mammals.. Anything you put into the earth’s ecosystem that does not decompose, that is, anything inorganic, pollutes our planet for all eternity. swims just below the shallows. 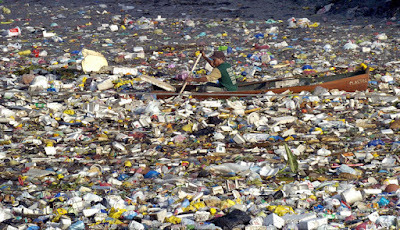 Garbage accumulation in the seas is driven by the movement of six subtropical ocean gyres (SOGs), rotating clockwise in the Northern Hemisphere, and counterclockwise in the Southern Hemisphere, the result of the Coriolis Effect. Both profit driven and non-profit enterprises are stepping in where more concerted efforts have failed. Municipal governments can pass ordinances banning the use of plastic bags. Recently the Icelandic chain of UK supermarkets announced their packaging would become plastics-free. Greenpeace is circulating a petition demanding that Coca Cola cease its production of millions of plastic bottles a year in favor of establishing stations where the public can draw the product in reusable containers. How can we live responsibly, given that our lives are embedded in a petroleum-driven economic culture? How can we reduce and eventually eliminate the use of plastics in our homes, and our purchasing lives, and in our planet-spendthrift Christmas giving? Individual efforts make a difference. One of them, spearheaded by Costa Rican artist Carolina Sevilla recovers ocean plastic and makes fashions out of it, is an example of such an individual initiative. But each one of us need to think how best to help compensate for the absence of globally coordinated initiatives. Most critical of all, R & D allocations need to support the world’s chemists to develop biodegradable replacement products, to end the age of petroleum and its byproducts altogether. 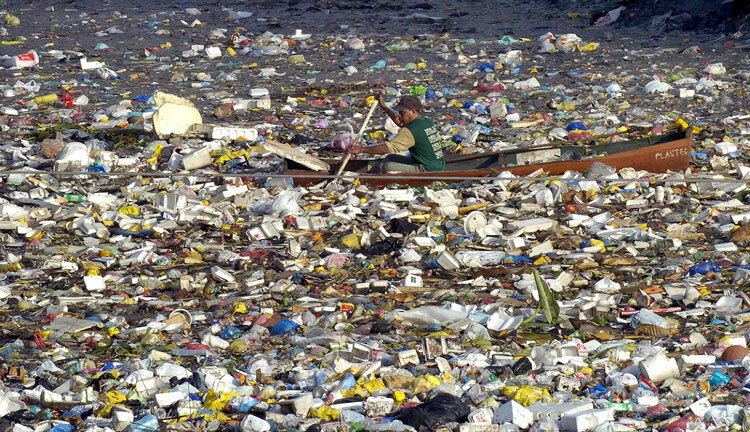 Watch Humanity Ruin the Oceans. Avail yourself of Greenpeace’s plastic clean-up toolkit. Please sign Greenpeace’s petition to support deposit return schemes in the UK. Please sign Greenpeace petition to reduce single-use plastic bottles. Please sign Greenpeace petition to urge supermarkets to eliminate plastic use in packaging. Ohio’s dangerously embrittled David-Besse nuclear plant is headed for “premature” closure as its owner, FirstEnergy Corp runs out of solvency options. Federal Energy Regulatory Commission rejects DOE’s proposal to prop up aging coal and nuclear plants. Florida restores voting rights to over a million former felons in Novembers midterms. Governors in in Montana and New York sign executive orders mandating that all internet providers and state contracts must abide by net neutrality rules. Arkansas stands up to Monsanto by banning dicamba pesticide. Oregon votes to keep funding Medicaid throughout the state. New Orleans passes resolution calling on the city to avoid contracting or investing in corporations that consistently violate human, civil, or labor rights—including Israel. Vermont becomes first in union to legalize marijuana, reversing decades of criminal incarceration, mostly of people of color. Pennsylvania’s gerrymandered House map was jus struck down, with important implications for the 2018 midterms. Department of Education rules that Texas violated rights of disabled students. 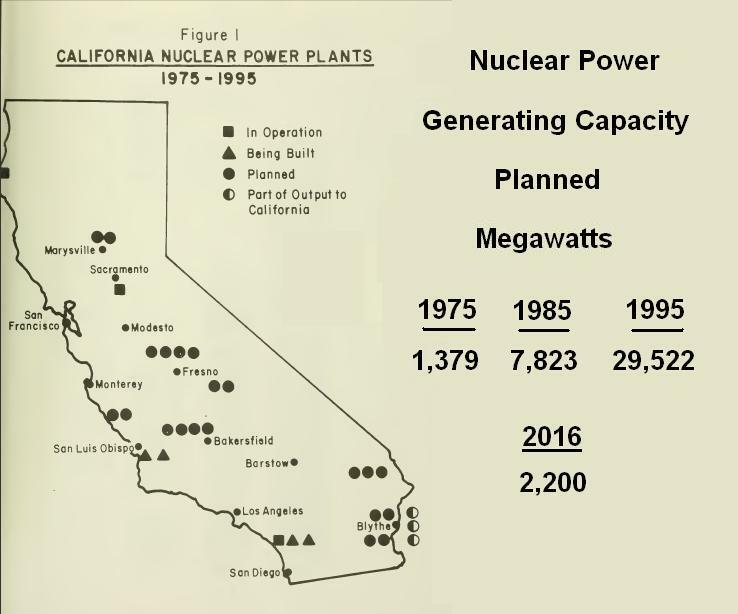 Once one of its earliest and largest promoters, California has decided to get out of the nuclear power business. On January 11th, 2018, The California Public Utilities Commission voted unanimously to shut down Pacific Gas & Electric Company's (PG&E) Diablo Canyon reactors at the end of its current license permits or sooner, if appropriate information comes forward to do so. 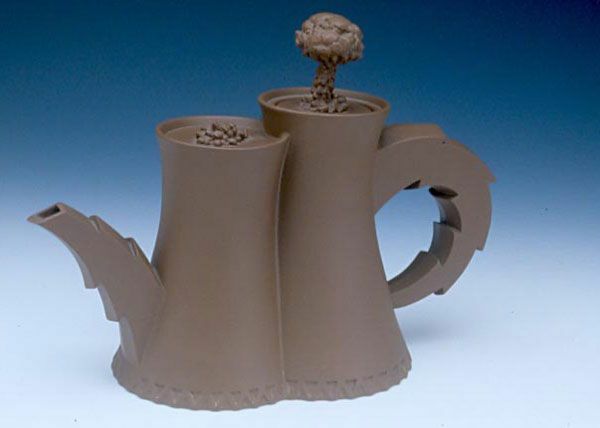 With the passing of the nuclear tea pot industry, there isn't a better example of the hopeful saying “as goes California, so goes the nation!” From Fremont to Reagan, its Hollywood promotional claim that the rest of the country will eventually follow in California's lead is on display. After 60 years of opposition to nuclear development, California has put a stopper on the nuclear genie. The state has become a world leader in renewable energy, already producing 39% of its electricity from it - over twice as much energy as nuclear ever produced. Legislative attempts to go 100% renewable failed this past fall, but there can be no doubt that that campaign will only grow stronger, with over 100,000 solar jobs in the state, far more than nuclear's few thousand ever produced. 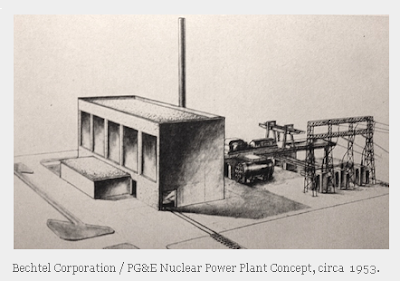 Claiming that nuclear energy would become too cheap to meter, General Electric and PG&E became one of the country's earliest nuclear power promoters, constructing the Vallecitos nuclear facility southeast of Oakland. Plans for more installations across the state were soon to follow. In 1958, following PG&E's announcement of plans to build a large nuclear complex at Bodega Bay just 1,000 meters from the epicenter of the 1906 earthquake that decimated San Francisco, Northern Californians launched what would eventually become a global movement against nuclear power. A few years later, with its plans to build the world's largest nuke at Malibu, Southern California Edison would kick off Hollywood's opposition, leading to movie stars like Bob Hope coming out in opposition. Both projects were eventually stopped after years of opposition. With California's penchant for gigantic systems (including the world’s largest water projects, its freeways, agribusiness, urban sprawl, banks and military contractors) leave it to PG&E, the largest privately owned electric utility company in the United States at the time to claim that it would build over 60 units in its service territory alone - part of Nixon's call for 1,000 reactors nationwide by the year 2000. The construction of Diablo Canyon would become the most controversial nuclear facility of its time, taking over 20 years to complete and coming in ten times over budget, able to open only with the legal legerdemain of Nixon's Saturday night massacre Judge Robert Bork’s his lame decision the day before the Chernobyl meltdown. 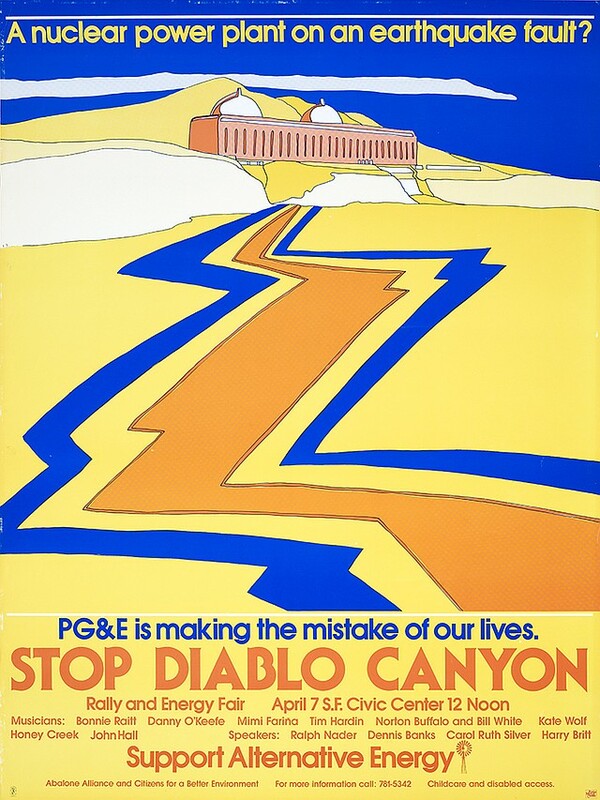 With all of its drawn-out drama, PG&E's strategy to bribe the Sierra Club into supporting Diablo Canyon led to the formation of Friends of the Earth, which split off from the Sierra Club. Later, with his book Soft Energy Paths, Amory Lovins would join Friends of the Earth (FOE) and play a prominent role in launching the global renewable energy campaign. In the mid 1970's, as part of Californians for Nuclear Safeguards', June 1976 statewide Proposition 15 ballot measure calling for the end of nuclear power in the state, three General Electric nuclear engineers would quit. The ballot measure failed but the large statewide campaign with thousands of volunteers so terrified the industry that it agreed to new regulations banning any further development until a solution to spent fuel could be found. 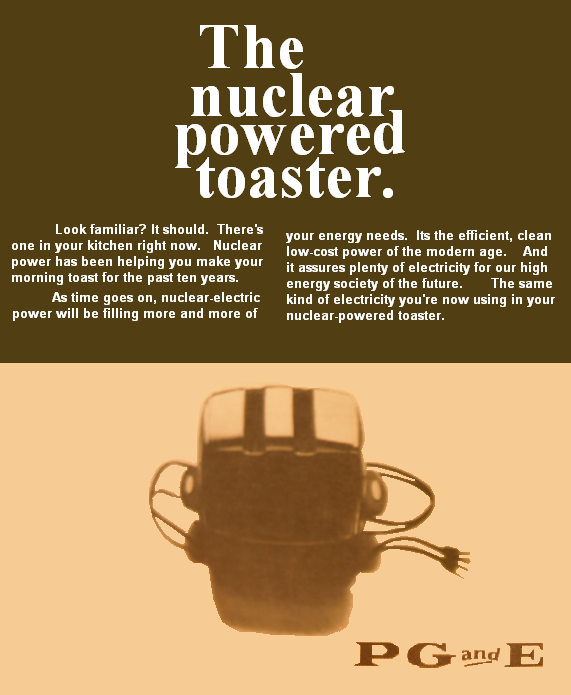 It would be this initiative that would signal the death knell for nuclear in California. PG&E would take the rule it helped produce to the U.S. Supreme Court in 1983 only to be rebuffed. Industry supporters considered another attack on the law in 2006, an attack that eventually collapsed. 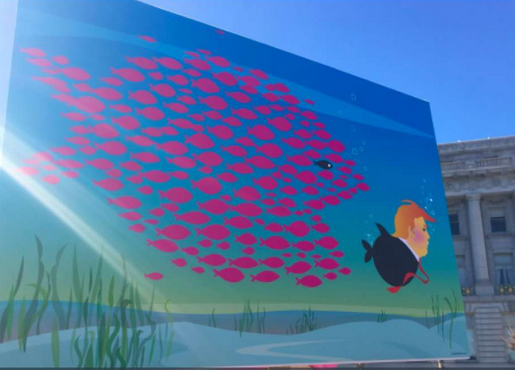 A year after the vote, the Abalone Alliance (AA) was formed with the objective of using direct action to stop Diablo Canyon, while the Mothers for Peace took on the legal campaign to close it. 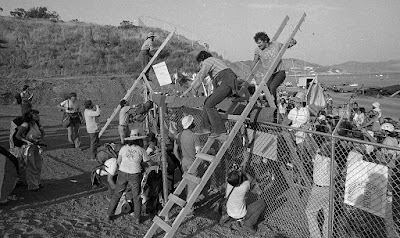 Based on Whyl Germany's 1975 direct action model, the Abalone Alliance was formed in 1977 and quickly spread across the state, eventually including dozens of local groups, large and small. With the addition of Alliance for Survival, based in San Diego and Los Angeles, estimates placed total membership at nearly 100,000. 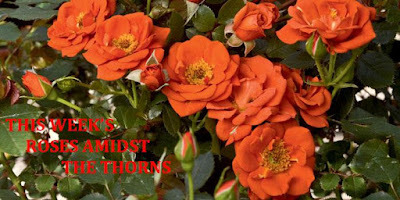 The group adopted a radical new model developed by the Quakers of consensus as its decision making process. 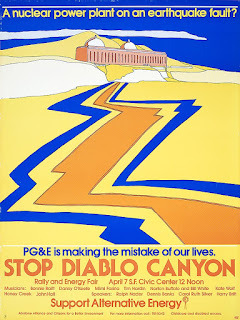 Following two years of blockades at the gates of Diablo Canyon, where hundreds of activists trained in Non-violent tactics were arrested, the group's San Francisco chapter, People Against Nuclear Power was actively planning a rally at the Civic Center when unit 1 of the Three Mile Island nuclear facility in Pennsylvania melted down on March 28th, 1979. 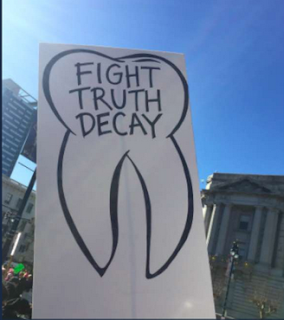 The Alliance's timing resulted in over 25,000 attendees at the April 7th event, followed by another rally with 50,000 attendees in San Luis Obispo two months later, when Governor Jerry Brown came out against Diablo. After a strategic decision to schedule its next blockade when PG&E planned to open the facility, the alliance, joined by Greenpeace, mounted the nation's largest direct action campaign starting on September 11, 1981. Nearly 2,000 arrests were made during the ten- day-long blockade at Diablo. On the last day of the blockade, a newly hired 25-year-old engineer happened to notice that the facilities’ seismic supports had been installed in a mirror-image reversal, following a similar situation at San Onofre, forcing PG&E to be rebuild Diablo for a 3rd time. (The second rebuild followed the 1972 discovery of the Hosgri Fault, a warning sign that many believed had been covered up by the utility following its failure to build the Bodega Bay facility north of San Francisco in 1958.) This would not end PG&E's seismic nightmare; eventually many new faults even closer to the facility would be discovered. In the meantime, Santa Cruz activists successfully stopped PG&E's plans to build another large facility less than 20 miles from what would have been the epicenter of the 1989 Loma Prieta Earthquake ($6 billion in damages) that shattered Santa Cruz and parts of San Francisco. PG&E was eventually forced to shell out an additional $5.8 billion dollars for construction costs (and even more in financing) with much of the cost coming, thanks to President Reagan, from a secret EPA loan. Then Judge Bork saved Diablo Canyon who refused to look at the NRC’s leaked transcripts in a decision rendered a day before the catastrophe at Chernobyl happened. Brown's administration promised to limit ratepayers costs to $2.2 billion, but with Republicans taking control of the state in 1984, a new experiment in rate making allowed PG&E to rake in cash. That ruling led to the 1994 electric rebellion, followed in 2001 by Governor (Pistol) Pete's deregulation fiasco that included a $28 billion give away, with PG&E's portion disappearing when the company went bankrupt. The TMI disaster that preceded Chernobyl led to a nationwide movement that, given its goal of stopping the use of nuclear power and replacing it with renewable energy sources, has been intentionally ignored by most of the mainstream media. In a matter of years, political opposition combined with nuclear energy's failed economic promises, put a stop to the industry's expansive agenda. The failure of the U.S. nuclear power program ranks as the largest managerial disaster in business history. The utility industry has already invested $125 billion, with an additional $140 billion to come before the decade is out – and only the blind, or the biased, can now think that that money has been well spent. From the start, in 1974, when as a result of its plumbing system’s first test, over 10,000 abalone were killed, the facilities environmental hazards became evident. In 1998 the company was caught lying about the massive offshore impacts of dumping 2.2 billion gallons of hot toxic water into the Pacific Ocean daily, but the resulting fine, which would have been the largest ever, magically disappeared through the efforts of the outgoing Clinton administration. 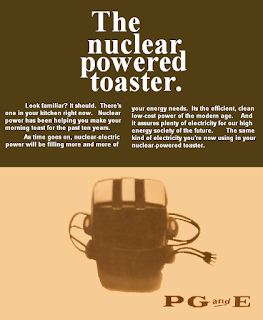 Similar impacts were also found at San Onofre. Eventually the state ordered all coastal thermal facilities to replace their Once-Through Cooling systems that, for Diablo, would have cost the company upwards of $7 billion to install. Following George W. Bush's nuclear 2.0 campaign in 2005 with the goal of reboosting nuclear power, the industry started pushing to extend nuclear licenses for old reactors like Diablo and building new ones. But once again, the industry's claims turned out to be false and within years the new push faltered. Both Diablo and San Onofre applied to the Nuclear Regulatory Commission for license extensions but when Fukushima happened, both companies were forcedd to delay those plans. San Onofre, which was just completing the replacement of its steam generators, suffered leaks in one of the new units, ultimately leading to closure of the two units in June 2013. As a result of the seismic hazards revealed by the Fukushima disaster, PGE hoped with a battery of sonic seismic testing, to verify that Diablo Canyon was safe after all. But dramatic opposition to the hazards of sonic testing put an end to that. The final trip wire for PGE came when they realized that their lease of state lands required new hearings. Just days before the state hearing on June 21st, 2016 the company announced that it had reached an agreement with a number of groups including Friends of the Earth to close the facility in 2024. After nearly two years of controversial hearings, the California Public Utilities Commission signed off on Diablo's closure. During the 2016 hearings, PG&E acknowledged that over half of Diablo's power was no longer needed, nor was it critical to maintain it for any base-load purposes. A handful of pro-nuclear activists attempted to make any number of claims, even attempting to do blockades of groups that were supporting its closure. 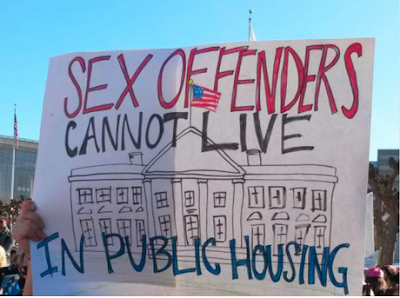 But the decision to allow the facilities to continue until 2024 was most definitely not agreed to by groups like Mothers for Peace, Women's Energy Matters and The World Business Academy of Santa Barbara, demanding that it close sooner. Put on the record during the hearings, those contentions and their documentation were acknowledged and could still come into play. 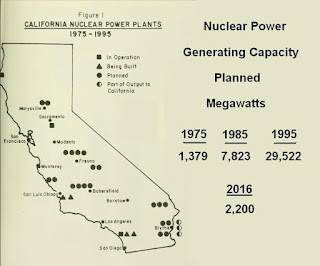 But, there will never be another nuclear facility allowed again in California. This piece is dedicated to those activists who gave their hearts and energy to one of the longest, most difficult struggles imaginable. Please note that a number of links giving much more background on Diablo are to Mark Evanoff's unpublished 1983 manuscript on the state's anti-nuclear history. International Criminal Court at the urging of Chief Prosecutor Fatou Bensouda prepare to name the US and CIA for war crimes in connection with torture in Afghanistan. Constitution Pipeline request denied by FERC. Ninth circuit Judge William Alsup temporarily blocks Trumpeter’s decision to end DACA. New York City pension fund to divest from fossil fuels. New York and Columbia University team up to reinstate climate advisory panel disbanded by the administration. In a unanimous decision, FERC reverses Perry, setting energy storage policy based on evidence. Regulators unanimously vote to close Diablo Canyon Nuclear Power plant by 2025 (see feature article). GOP’s election hijacking tactics thwarted in court. Courts in California and Pennsylvania temporarily block rollback of reproductive rights. Aurora Project, world’s largest solar plant., secures key milestone in development. Vermont legislature approves non-commercial marijuana legalization bill. Opposing climate change, in support of native treaty rights, indigenous women occupy Washington State Capitol. Coalition pressures Seattle City Council to urge feasibility study for public banking. California court stops state cancer-causing pesticide spraying program. Pro-nuclear Darrell Issa announces his retirement. More than 100 U.S. House and Senate candidates pledge to move off fossil fuels use. Washington State dues Motel 6 for sharing guests’ info with border agents. Bogus “voter fraud” commission dissolved. Tea party Republican Trey Groudy steps down from ethics committee. Teresa Manning, top anti-abortion advocate, resigns at Health Department. Port of Vancouver votes to cancel Tesoro-Savage’s lease for proposed oil train terminal. San Francisco planning commission rejects condo application after applicants evicted 100 year old Iris Canada who died shortly thereafter. Call congress. Urge passage of the Dream Act. Petition congress to protect all Salvadorean TPS recipients now.